Preprints (earlier versions) of this paper are available at http://preprints.jmir.org/preprint/8671, first published Aug 08, 2017. Background: Wearable technologies provide users hands-free access to computer functions and are becoming increasingly popular on both the consumer market and in various industries. The medical industry has pioneered research and implementation of head-mounted wearable devices, such as Google Glass. Most of this research has focused on surgical interventions; however, other medical fields have begun to explore the potential of this technology to support both patients and clinicians. Objective: Our aim was to systematically evaluate the feasibility, usability, and acceptability of using Google Glass in nonsurgical medical settings and to determine the benefits, limitations, and future directions of its application. Methods: This review covers literature published between January 2013 and May 2017. Searches included PubMed MEDLINE, Embase, INSPEC (Ebsco), Cochrane Central Register of Controlled Trials (CENTRAL), IEEE Explore, Web of Science, Scopus, and Compendex. The search strategy sought all articles on Google Glass. Two reviewers independently screened titles and abstracts, assessed full-text articles, and extracted data from articles that met all predefined criteria. Any disagreements were resolved by discussion or consultation by the senior author. Included studies were original research articles that evaluated the feasibility, usability, or acceptability of Google Glass in nonsurgical medical settings. The preferred reporting results of systematic reviews and meta-analyses (PRISMA) guidelines were followed for reporting of results. Results: Of the 852 records examined, 51 met all predefined criteria, including patient-centered (n=21) and clinician-centered studies (n=30). Patient-centered studies explored the utility of Google Glass in supporting patients with motor impairments (n=8), visual impairments (n=5), developmental and psychiatric disorders (n=2), weight management concerns (n=3), allergies (n=1), or other health concerns (n=2). Clinician-centered studies explored the utility of Google Glass in student training (n=9), disaster relief (n=4), diagnostics (n=2), nursing (n=1), autopsy and postmortem examination (n=1), wound care (n=1), behavioral sciences (n=1), and various medical subspecialties, including, cardiology (n=3), radiology (n=3), neurology (n=1), anesthesiology (n=1), pulmonology (n=1), toxicology (n=1), and dermatology (n=1). Most of the studies were conducted in the United States (40/51, 78%), did not report specific age information for participants (38/51, 75%), had sample size <30 participants (29/51, 57%), and were pilot or feasibility studies (31/51, 61%). Most patient-centered studies (19/21, 90%) demonstrated feasibility with high satisfaction and acceptability among participants, despite a few technical challenges with the device. A number of clinician-centered studies (11/30, 37%) reported low to moderate satisfaction among participants, with the most promising results being in the area of student training. Studies varied in sample size, approach for implementation of Google Glass, and outcomes assessment. Conclusions: The use of Google Glass in nonsurgical medical settings varied. More promising results regarding the feasibility, usability, and acceptability of using Google Glass were seen in patient-centered studies and student training settings. Further research evaluating the efficacy and cost-effectiveness of Google Glass as an intervention to improve important clinical outcomes is warranted. Wearable technology is defined as any compact device, either in the form of a body sensor or head-mounted display, which provides a user information and allows user interaction via voice command or physical input . The purpose of these devices is to create convenient, portable, and hands-free access to computers, thus facilitating or enhancing everyday tasks. Many of these devices can perform the same functions as mobile phones and laptop computers, while also outperforming them with their sensory and scanning abilities . Google Glass (Google, Inc.), often referred to as “Glass,” which resembles standard eyeglasses, is one of the more well-known devices in this emerging field since its release in 2013 . Google Glass has distinguished itself from other head-mounted or heads-up wearable devices by providing users with a comfortable, unobtrusive, wireless platform that runs the Android operating system and displays virtual or augmented reality with little obstruction to normal vision . While it has not yet seen much success in the consumer market, various industries have taken an interest in the potential applications of a head-mounted, ubiquitous computer that could be used for a range of tasks, including recording and streaming videos, data transmission, telementoring in education, and teleconferences for professional collaboration . Health care is one such industry that has pioneered research investigating how Google Glass could be leveraged to support both clinicians and patients. Surgeons were among the first in the medical industry to incorporate Google Glass into their work. As a hands-free device that can react to voice commands, eye movements, and simple gestures, it is particularly attractive in environments where both hands are generally occupied with surgical tasks and maintaining sterility is of upmost importance . In a recent systematic review, Davis and Rosenfield reported an overall positive impact of using Google Glass in surgical settings with data to support the feasibility and acceptability of its use for medical care, surgical skills training, medical documentation, and patient safety . Many other specialties in medicine have followed the lead of the surgical field and conducted their own studies to assess the feasibility of using Google Glass in nonsurgical medical settings. While Google Glass is an exciting technology with a number of promising applications in medicine, it remains unclear which applications are most worth pursuing, what potential limitations are associated with its use, and the extent to which patients and clinicians might benefit from its use. The objectives of this review are to systematically evaluate the most recent evidence for the feasibility, usability, and acceptability of using Google Glass in nonsurgical settings, and determine its potential benefits, limitations, and future directions in these settings. We followed the guidelines for the Preferred Reporting Items for Systematic Reviews and Meta-Analyses (PRISMA) in the reporting of evidence across the studies we reviewed (Multimedia Appendix 1) . A librarian collaboratively developed the search strategies with the senior author (SB) and ran searches in the following databases in November 2015: PubMed MEDLINE, Embase, INSPEC (Ebsco), Cochrane Central Register of Controlled Trials (CENTRAL) on the Wiley platform, IEEE Explore, Web of Science, Scopus, and Compendex. An updated search of all databases was run in January 2017 to look for additional articles. Search strategies for all databases except MEDLINE were adapted from the PubMed MEDLINE strategy. All databases were searched back to 2013, when Google Glass was first released. No language limits were applied. The search strategy specified keywords related to Google Glass. We also reviewed the search strategies of previous studies to include additional terms. See Multimedia Appendix 2 for complete search strategies in each database. An additional hand-search of related themes in the Journal of Medical Internet Research was also conducted. We also attempted to identify additional studies by searching the reference lists of key studies and relevant systematic reviews. The inclusion criteria were as follows: (1) original research articles, (2) studies that were either randomized controlled trials, quasi-experimental studies, or pilot/feasibility studies (including single arm, pre-posttest), (3) Google Glass interventions, (4) nonsurgical study settings, and (5) clinical, usability, feasibility, and/or acceptability as primary or secondary outcome. The exclusion criteria included (1) technology-based interventions other than Google Glass, (2) surgical study settings, and (3) articles with more technical description of Google Glass but no clinical, usability, feasibility, and/or acceptability outcomes. We used a standardized form for data extraction. Data items in the extraction form included the following: first author’s name, publication year, country, condition or disease focus of the study, purpose of the study, description of how Google Glass was used in the study as an intervention, participants’ age (when available), study design, study setting, duration of the study, and other study considerations. Two authors coded all included articles individually. Disagreements were resolved by discussion or by consultation with the senior author (SB), if needed. Quantitative and qualitative data analyses were conducted. The literature search identified 852 references (Figure 1), and 498 individual full articles were retrieved. A total of 51 articles met all inclusion criteria. Some of the interventions (21/51, 41%) studied the potential of Google Glass in aiding patients with a variety of conditions [6-26], while the majority (30/51, 59%) studied its potential uses in assisting health care professionals in their work [27-56]. The patient-focused studies aimed to help individuals with motor impairments (8/21, 38%) [6-13], visual impairments (5/21, 24%) [14-18], developmental and psychiatric disorders (2/21, 9%) [19,20], weight management concerns (3/21, 14%) [21-23], allergies (1/21, 5%) , or other health concerns leading them to track specific physiological metrics (2/21, 10%) [24,25]. The clinician-focused studies analyzed Google Glass use in student training (9/30, 30%) [35,37,38,40,41,46,48,49,52], disaster relief (4/30, 13%) [27-30], diagnostics (2/30, 7%) [32,50], nursing (1/30, 3%) , autopsy and postmortem examination (1/30, 3%) , wound care (1/30, 3%) , behavioral sciences (1/30, 3%) , and various medical specialties, including cardiology (3/30, 10%) [43-45], radiology (3/30, 10%) [39,42,47], neurology (1/30, 3%) , anesthesiology (1/30, 3%) , pulmonology (1/30, 3%) , toxicology (1/30, 3%) , and dermatology (1/30, 3%) . Tables 1 and 2 summarize the characteristics of patient- and clinician-centered studies, respectively. In total, 40 studies were conducted in the United States [6-9,13-18,20-24,27,29,31, 32,35,37-41,43-52,54-57], three in Germany [25,26,53], two in United Kingdom [10,11], China [34,36], and one each in Australia , Switzerland , Mexico , Netherlands , Norway , and Italy . Less than half of the included studies (19/51, 37%) were conducted in a laboratory setting [6-9,12,14,16-19,21-24,27,31,33,42,50], 13 (25%) in a hospital setting [32,34,36,38,39,43,44,46,51,53-56], seven (14%) in a classroom or clinical student training setting [35,37, 40,41,47,48,52], three in patient residences (6%) [13,15,20], three in local settings (6%) [28-30], and one in a dental office (2%) . The remaining five studies were conducted in varying locations (10%) [10,11,25,26,45]. There was significant variability in information reported about participant demographics. Most (n=38) did not report any specific age information for participants [7,8,13-15,19-21,26-52,54-56], but none of these were conducted in pediatric settings. Of the 13 studies that did report participant age information, seven enrolled young adults (average age or age range ≤35 years) [6,18,22-25,53], three enrolled adults (average age or age range >36 and <60 years) [9,16,17], two enrolled older adults (average age or age range ≥60 years) [10,12] and one study reported an age range of 46-70 years . Sample size ranged from 1-106 participants, with a median of 12 and a mean of 22 participants per study; 29 enrolled <30 [6,7,9-14,16-21,23-27, 30,38-40,43-45,48,53,54] and 10 had ≥30 participants [22,31,33,36,37,41,47,49,52,56]. Some of the studies (12/51, 23.5%) did not report the number of participants [8,15,28,29,32,34,35,42,46,50,51,55]. None of the studies reported information about participants’ race and ethnicity. Most (31/51, 61%) were pilot or feasibility studies [6-16,18,20-22, 24,26-29,32,33,35,36,38,47,48,53-56], six were randomized controlled trials (6/51, 12%) [30,31,37,40,41,52], five were exploratory studies (5/51, 10%) [42,44,45,49,50], five were case studies (5/51, 10%) [17,23,34,46,51], and four were quasi-experimental (4/51, 8%) [19,25,39,43]. None of the studies included any follow-up with participants after completion of the intervention. Table 1. Summary of studies using Google Glass as patient-centered interventions. Table 3 summarizes the Google Glass approach as patient-centered interventions. Five of the studies (5/21, 24%) used Google Glass to assist individuals with visual impairments or in low vision environments by providing them information about nonverbal social cues , allowing them to better navigate environments with the use of floor plans , improving vision magnification using mobile phone zoom capabilities , compensating for age-related vision impairments , and augmenting color perception . Eight studies (8/21, 38%) using Google Glass to help individuals with various motor impairments provided them with an accessible interface to control an assistive robot  or an electric wheelchair . This allowed them to operate a computer using only head or eye movements , facilitating everyday tasks with the use of voice commands and the touchpad , managing symptoms of Parkinson’s Disease (PD) [10-12], and providing speech feedback to patients with dysarthria to allow them to better adjust their volume . Two studies (2/21, 10%) used Google Glass to help individuals with psychiatric or developmental disorders by recording blinking information as an indication of anxiety experienced by those with social anxiety disorder (SAD)  and by recording behaviors of individuals with autistic spectrum disorder (ASD) to provide better information to caregivers and clinicians . Three studies (3/21, 14%) used Google Glass to assist in weight management by detecting and recording a person’s eating and drinking habits [21-23]. Two studies (2/21, 10%) provided individuals with real-time electrocardiograms (ECG)  or other physiological measurement feedback . Finally, one study (1/21, 5%) allowed users to scan the ingredients of cosmetic products in drug stores to filter for common allergens . Figure 1. Flow of studies according to PRISMA guidelines. Table 2. Summary of studies using Google Glass as clinician-focused interventions. Table 3. Summary of Google Glass approach as patient-centered interventions. Table 4 summarizes the Google Glass approach as clinician-centered interventions. Four of the clinician-focused studies (4/30, 13%) used Google Glass to assist in disaster relief by providing first responders with maps and navigational assistance , maintaining audiovisual communication with groups of paramedics and administrators , scanning triage tags , and performing teleconsultations with physician experts to confirm triage decisions . Two studies (2/30, 7%) used Google Glass to help community health workers make more efficient diagnoses  and by allowing clinicians to retrieve images of similar cases . Another (1/30, 3%) provided nurses information about peripheral stimuli to help them more efficiently manage their clinical environment . Two studies (2/30, 7%) used the teleconsultation capabilities of Google Glass to improve the accuracy of neurological  and emergency dermatology  examinations. Nine studies (9/30, 30%) used Google Glass in student training situations to provide first-person demonstrations of procedures , record students in simulated patient interactions [38,49,52], enhance simulated interactions by projecting videos of the scenarios into their visual field [35,48], provide students with live instruction from an expert [40,46,55], and teach anatomy by providing real-time ultrasound imaging . One study (1/30, 3%) used Google Glass to provide patient monitoring data to assist anesthesiologists and minimize distractions during procedures . Five studies (5/30, 17%) used Google Glass to capture images of X-rays [39,44] and ECGs [43,45] that physicians then interpreted for significant findings. One study (1/30, 3%) used Google Glass to minimize head movements during ultrasound-guided procedures by projecting the images onto Google Glass . One study (1/30, 3%) used Google Glass to take and analyze rapid diagnostic tests (RDTs) . One study (1/30, 3%) helped clinicians evaluate burn patients by assisting in airway assessment . One study (1/30, 3%) assessed the potential uses of Google Glass in autopsy or forensics settings by specifically evaluating the quality of images taken by Google Glass for documentation . One study (1/30, 3%) leveraged multiple functions of Google Glass to assist with the treatment of chronic wounds . Finally, one study (1/30, 3%) developed an app for Google Glass to facilitate behavioral, cognitive, and social research . Table 4. Summary of Google Glass approach as clinician-centered interventions. Table 5 summarizes the user satisfaction results of the patient-centered interventions (see Multimedia Appendix 3 for more technical results). Overall, participant feedback on the comfort and ease of use of Google Glass in patient-centered interventions was very positive. Of the participants with visual impairments, Anam et al reported a median usability score of 4.6/5 , and Tanuwidjaja reported that a majority of participants believed the Google Glass intervention would be useful in everyday life . Among the participants with motor impairments, namely Parkinson’s Disease (PD), while overall reactions were positive  and some believed that Google Glass allowed them to do things they were not previously able to do independently , there were also some consistent frustrations expressed. For example, some experienced difficulties using the touchpad and voice navigation features as a result of tremors and dysarthria associated with the disease [10,11]. While participants with ASD reported positive experiences using Google Glass , participants using it to collect physiological data reported privacy concerns and found a smartwatch to have better usability . Some of the common complaints reported were overheating of the device [14,15,20], its relatively short battery life [6,14,15,17,18,22,24], poor quality camera [17,18], perceived stigma when wearing the device in public [14,25], wireless connectivity issues , and concerns about privacy and the protection of confidential information [11,25]. These results suggest the potential for future research and implementation to support patients if Google can address some of the device’s technological limitations. However, the issues experienced by PD patients due to dysarthria and tremors should be addressed in interventions related to motor impairments. (Ophthalmology – visual impairment) Participants completed 5-point Likert scale on usability of the Expression system (a score of 5=the best): Learnability ‒ median 4.1, interquartile range (IQR) 0.7; Informativeness ‒ median 4.5, IQR 1.0; Usability ‒ median 4.6, IQR 0.7; User Satisfaction ‒ median 4.5, IQR 1.0; Willing to Use ‒ median 3.7, IQR 0.7. The relatively low score for “Willing to Use” can be attributed to perceived uncertainty in social acceptability of wearing a device such as GG. (Ophthalmology – colorblindness) 4/6 participants reported they found Chroma system useful in performing study tasks and would find it useful in everyday life. Two participants expressed concerns about system lag time in switching between modes. One participant did not find the system helpful because his vision test scores worsened when using Chroma. (Motor impairment – upper body) Participants rated system features on a 5-point scale (1=very easy/comfortable to 5=very difficult/uncomfortable): Visual Display ‒ comfort median 2, mean 2.2, SD 1.2; ease median 2, mean 2.2, SD 1.2; Touchpad Gestures ‒ comfort median 3, mean 3, SD 2.2; ease median 2, mean 2.7, SD 1.9; Voice Commands ‒ ease median 1, mean 1.7, SD 1.2. For the reciprocal tapping task, most (N=8) found the large touchpad easiest to use, and most (N=7) found the large touchpad to be most physically comfortable. (Motor impairment – PD) Study exit interviews identified some concerns with usability of and patient satisfaction with GG. Some felt wearing GG in public drew unwanted attention, and 3/4 participants reported they would not wear GG in certain settings due to safety concerns. All participants experienced frustration when certain features, such as voice recognition and navigation, were difficult to use in everyday life or did not work. However, when the features were working properly, user satisfaction was high. GG enabled some to do things others without PD can do on mobile phones. Overall, reactions to GG were positive and showed appreciation for how GG could be used to help those with PD. (Motor impairment – PD) Study exit interviews revealed mixed reactions to LApp program, with some finding significant improvement in and confidence with their speech volume and others reporting the program performance was inconsistent. Additional frustrations were related to GG’s short battery life and difficulties navigating the touchpad because of PD-related tremors. (Motor impairment – PD) Most users found GG easy or very easy to use (N=7/11) and the instructions on screen clear or very clear to read (9/12). One user particularly liked the bone-conducting headphone because the metronome was less audible to others around. Some participants disliked GG’s placement of the visual display in the upper right corner (n=3) and suggested images be projected binocularly (n=1) or more focally (n=2) in the visual field. They suggested verbal instructions (n=9), rhythmic music (n=2), and postural feedback (n=1) as additional cues for the app and that cues be provided only when needed (n=2). (Psychological/Developmental – ASD) Review of videos of participants using GG system at home showed that children reported positive experiences with the activities at home and stated they viewed the system as a toy. However, the device heated up to uncomfortable levels if worn too long. (Physiological measurements) Participants completed a qualitative assessment of their experience using DailyHeart on GG. Mean usability rating for smartwatches (4.2) was higher than GG rating (2.8). Almost a third of participants were afraid that health data stored in Google Fit could be misused by third parties. In comparing the use of DailyHeart on GG and on Android Wear, Wear outperformed GG on all measures (appearance, features, handling, distraction, and overall usability). Table 5. Feasibility and acceptability of Google Glass as patient-centered interventions. Table 6 summarizes user satisfaction and technical results of the clinician-centered interventions (see Multimedia Appendix 4 for more technical results). The clinician-centered studies, which also varied greatly in specializations and uses of Google Glass, reported more inconsistent reactions regarding the utility of the device. Many of the studies reported technical frustrations similar to those mentioned in the patient-centered interventions—specifically, short battery life [29,31,35,37,41,42,48,50,53], device overheating [31,35,37,41], difficulties with wireless network connection [29,35,37,41,42,48,55], and privacy concerns [28,31]. Multiple studies reported that, while the device was generally comfortable to wear and did not distract from the clinician’s work, it did not significantly improve outcomes or the clinician’s efficiency [29,37,53]. The main sources of frustration specific to clinician use were the size and quality of images taken with and viewed through the device [42,45,50], difficulties in taking images and videos, and keeping patient monitors in the clinician’s line of vision due to the fact that the Google Glass follows a person’s head movements instead of gaze [33,36,49]. Specifically, Spaedy et al found that clinicians were dissatisfied viewing images of chest X-rays through Google Glass but were impressed with the images taken by the device and viewed on a mobile phone or computer . In addition, Stetler et al, Duong et al, and Jeroudi et al reported that cardiologists were generally not confident with their interpretations of ECGs viewed through Google Glass [43-45]. However, other studies, in particular the ones that used Google Glass as a tool for training students, found that students had overall positive reactions to Google Glass and would recommend its future use [35,36,41,47-49,52]. For example, Chaballout et al found that most students (10/12, 83%) recommended its continued use in clinical simulations . Similarly, Wu et al found that a majority (88%) of the medical students and radiology residents would be likely to use ultrasound visualization through Glass instead of a traditional monitor . One exception to this trend was a study by Iversen et al, which reported that a majority of the physiotherapy students (26/39, 67%) found Google Glass’ video quality unacceptable, and many (23/39, 59%) did not feel the device enhanced their learning experience . Despite this contradiction, these results suggest that the greatest potential for Google Glass implementation to support clinicians lies in student training. (Disaster relief) First responders using GG completed a survey assessment after the intervention, and their responses supported the idea that GG does not make a significant improvement in disaster triage. (Neurology) Local physicians found that holding a mobile phone to provide the consulting specialist live images on GG was inconvenient. Teleneurohospitalists using GG did not feel the system allows for patient evaluation similar to what would be achieved in-person. (Student training – health science students) Participants were asked to complete 2 post-intervention surveys, a 13-item Student Satisfaction and Self-Confidence in Learning Scale and a 20-item Simulation Design Scale (scale for both measures was 1=strongly disagree to 5=strongly agree). Most students recommended continued use of GG in clinical simulations (N=10/12). They also reported high mean scores on the simulations’s design and satisfaction with the simulation to promote learning and self-confidence in learning. Student Satisfaction and Self-Confidence with Learning (mean [SD]): Satisfaction with current learning ‒ 4.67 (0.13); Self-confidence in learning ‒ 4.35 (0.60). (Anesthesiology) Anesthetists participating in the intervention were asked to complete a survey including a Likert scale and freeform questions: 78% would use GG again, 58% would recommend GG to colleagues, 21% felt GG improved patient management, 90% reported GG was comfortable to wear, 86% reported that information presented on GG was easy to read, 56% would wear GG in view of patients, 75% felt positive about using GG in the operating room environment, 82.5% reported that wearing GG did not distract from patient management. (Student training – physiotherapy students) Students who used GG in the study answered questions about the technology after the intervention. 67% (26/39) of students evaluated GG video quality as not acceptable (score of ≤2 on the Likert scale), and 59% (23/39) of students reported using GG did not enhance their learning experience. (Radiology) Participants responded to a 5-point Likert scale about the quality of GG images and their confidence about their interpretation. When viewing images through GG, 87% (13/15) were dissatisfied with the image and unsure that such a small display would be able to provide the necessary level of detail. 80% (12/15) were impressed with image clarity taken via GG and viewed on the mobile device. (Student training – medical students and radiology residents) Participants who used GG responded to a post-exercise survey. 87% reported GG was comfortable to use for ultrasound guidance. 88% reported they would be likely to use ultrasound visualization through GG as opposed to traditional monitors (18% very likely, 35% moderately likely, 35% somewhat likely). 78% indicated they would “very likely” be interested in future research studies involving GG in medical simulation and education. (Cardiology) Physicians responded to a 5-point user-experience Likert scale after the intervention. 58% (7/12) were satisfied with GG image quality of ECGs. 50% (6/12) were confident in their interpretation when using GG. (Cardiology) Participants responded to a post-study survey regarding their satisfaction with image quality and comfort making clinical recommendations. 10% (1/10) were “neutral” regarding quality and giving recommendations. 60% (6/10) of physicians were “somewhat satisfied” and would be “somewhat comfortable” giving recommendations. 30% (3/10) were “very satisfied” and would be “very comfortable” giving recommendations. (Cardiology) Participants completed subjective ratings on a 5-point Likert scale regarding image quality and their confidence of ECG interpretation. 75% (9/12) were dissatisfied with the ECG image quality when viewing via GG. 83% (10/12) were not confident in their interpretation when viewing via GG. 58% (7/12) were neutral about ECG images taken by GG and viewed on mobile phones. 58% (7/12) were more confident in their interpretation when viewing the GG image on a mobile phone than when viewing via GG. (Student training – dental students) Students responded to 4 open- and closed-text items about using GG and static video for self- and peer-assessment. Students’ reported mean score was higher for GG recordings (84.61) than static video (79.74). Students reported that verbal communication was more easily assessed by reviewing GG video (23.87) than static video (22.17); paraverbal communication was more easily assessed by reviewing GG video (24.26) than static video (21.51); and nonverbal communication was more easily assessed by reviewing static video (19.78) than GG video (17.09). (Student training – medical students [hospice]) Students responded to a 5-point Likert scale on how distracting they found GG during the intervention. 23% (7/30) reported a “positive, nondistracting experience.” 37% (11/30) reported a “positive, initially distracting experience.” 17% (5/30) reported a “neutral experience.” 10% (3/30) reported a “negative experience.” After reviewing the videos filmed with GG, 70% (16/30) believed that GG is worth including in the clinical skills training program. (Pathology – autopsy and postmortem examinations) Both participants agreed that GG was comfortable to wear but required more physical effort to capture images than a DSLR camera. (Toxicology) Study participants completed a survey immediately after the consult about their experience viewing a teleconsult through GG: 94% (17/18) were confident in the toxidrome after GG consultation as compared to 56% (10/18) who were confident after phone consultation. (Dermatology) All participants responded to a survey on acceptability of GG after their consultation. 93.5% (29/31) were overall satisfied with the video consultation. 22.6% (7/31) preferred care provided through mobile video communication technology over a standard face-to-face clinic visit. 74.2% (23/31) preferred care provided through mobile video communication technology over standard emergency department telephone consultation. 93.3% (28/31) would recommend the video consultation to others. 96.8% (28/30) felt comfortable that privacy was protected during the video encounter. 96.8% (30/31) were confident in the video equipment used. Table 6. Feasibility and acceptability of Google Glass as clinician-centered interventions. In recent years, wearable devices such as wrist-worn accelerometers and head-mounted devices have become increasingly popular for their applications to everyday life as well as to various industries. While Google Glass, one of the more well-known head-mounted wearable devices, has yet to successfully break into the consumer market, various industries are eager to harness its potential in their fields. Medicine is one such industry; however, far greater attention has been paid to surgical applications than to nonsurgical ones. In this systematic review, we assessed existing evidence of the usability, benefits, and limitations of Google Glass to support both patients and clinicians in nonsurgical medical settings. Overall, the evidence was somewhat limited by a small number of studies fitting all inclusion criteria, small sample sizes, and other methodological considerations, particularly for statistical analysis. We included 51 studies that met our pre-set inclusion criteria, with the majority of studies describing clinician-centered interventions. There was a wide range of health conditions and uses of Google Glass. While information regarding age of participants was limited, the studies that did include age information were conducted with adults and none within pediatric populations. Many were conducted in laboratory, hospital, and student training settings, which indicates potential of university-affiliated teaching hospitals to integrate wearable technologies to make clinicians more efficient and provide clinical support to patients. Unlike our systematic review, other recent reviews of the use of wearable technology in medicine included other heads-up devices besides Google Glass and did not distinguish between surgical and nonsurgical interventions [3,4]. Some of the uses of Google Glass in these studies include data visualization and video recording during surgery and interventional radiology, smart checklists, telementoring, virtual reality for education or pain management, interpretation of images, teleconsultation, teleconferencing, drug delivery tracking, patient empowerment, laboratory diagnostics, and forensic medicine [3,4]. A recent systematic review of medical applications of Google Glass in both surgical and nonsurgical settings found more globally positive support for the technology’s use in these settings . However, this systematic review discussed a smaller sample of articles (n=21) that spanned surgical and nonsurgical medical interventions as well as scientific settings in general. Furthermore, original research studies on Google Glass in surgical interventions report fewer technical issues with the device and recommend strategies to overcome those that were encountered. One study, in which a pediatric surgeon wore Google Glass continuously for 4 weeks, reports with confidence that the photographic and video quality of the device was sufficient to capture all clinically relevant findings . In contrast, many of the studies included in our analysis cited the photographic and video quality of Glass as a significant clinical limitation. While our findings regarding the limitations to the use of Glass, namely battery life, photographic and video quality, and streaming capabilities, were consistent with those encountered in surgical applications, the surgical studies seem to have made more progress in testing potential solutions. For example, one plastic surgeon used a USB-powered pocket battery to eliminate the need to recharge the device during the operation, noise-canceling headphones to enhance the sound transmitted by Glass, and a light emitting diode (LED) lamp headset to improve photo and video quality . These findings support the potential of Google Glass to be even more beneficial in nonsurgical medical interventions if technical limitations are overcome either in newer models of the device or with the implementation of these solutions. Our systematic review has a number of strengths. First, our review was conducted following the recommendations and guidelines for rigorous systematic reviews methodology [58-60]. Second, we used a very sensitive search strategy guided by a librarian information specialist with no language restrictions to include as many relevant studies as possible and minimize possible publication bias. In addition, we searched other resources, including published systematic reviews, clinical trial registries, and different electronic databases. Finally, 2 authors completed the review process independently at all stages. Our systematic review of the literature has some potential methodological limitations. First, similar to other systematic reviews, although our search criteria were comprehensive, we could have missed some relevant articles . Second, we included only original research papers that have been published in peer-reviewed journals, and the possibility of publication bias with the tendency to report positive study results cannot be excluded . Finally, a number of the studies included in our review had a relatively small sample size. Results regarding the feasibility, usability, and acceptability of Google Glass in nonsurgical medical settings were extremely varied, with more positive results being reported for patient-centered studies and student training settings. Further investigation with rigorous research designs evaluating the efficacy and cost-effectiveness of these more successful interventions in supporting patients and clinicians is warranted. These efforts would be beneficial in informing the base of evidence on the use of wearable devices, such as Google Glass, in medicine. We thank Ms Linda O’Dwyer (Galter Health Sciences Library, Northwestern University Feinberg School of Medicine, Chicago, IL) for her support with the literature search. We also thank Ms Ayana Ceaser (Northwestern University Weinberg College of Arts and Sciences, Evanston, IL) for her help with data extraction. Summary of the technical results of the patient-centered studies. Summary of the technical results of the clinician-centered studies. Gips J, Zhang M, Anderson D. Towards a Google Glass Based Head Control Communication System for People with Disabilities. In: Intephanidis C, editor. Communications in Computer and Information Science. Switzerland: Springer International Publishing; Jul 12, 2015:978-983. Bartolucci AW. 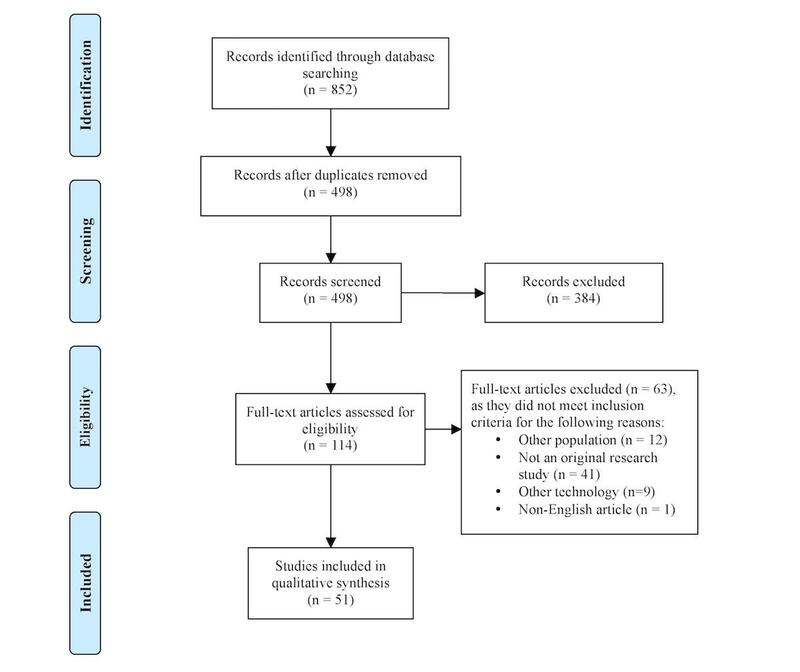 Overview, strengths, limitations of systematic reviews and meta-analyses. In: Chiappelli F, editor. Evidence-Based Practice: Toward Optimizing Clinical Outcomes. Berlin, Germany: Springer-Verlag; 2010:34. ©Bryn Dougherty, Sherif M Badawy. Originally published in JMIR Mhealth and Uhealth (http://mhealth.jmir.org), 19.10.2017.